Neutral density (ND) filters have survived the transition from analog to digital photography for a good reason. The effect created with the filter simply cannot be reproduced like to like by any other means, not even with image manipulation in post-processing. I’m talking about ND filter, not graduated ND filter. With the latter, you can easily simulate the effect in post-production. Some photographers have chose to ditch graduated ND filters for lighter their gear and easier setup. Others still prefer to get it right the first time to save precious time during post-processing. ​​​​​When it comes to buying a filter, one of the biggest debate is square filters vs screw on filters. Both allow you to achieve the same result and it’s the user preference that differentiate the two. Buying a neutral density filter is an expensive investment. Filters, filter holder, step down ring, etc. It all adds up! You often spend a lot of money but don’t use it as often as you thought you would. It’s very tempting to rush to buy your first ND filter when you’re all pumped, filled with enthusiasm after seeing what an ND filter can do. 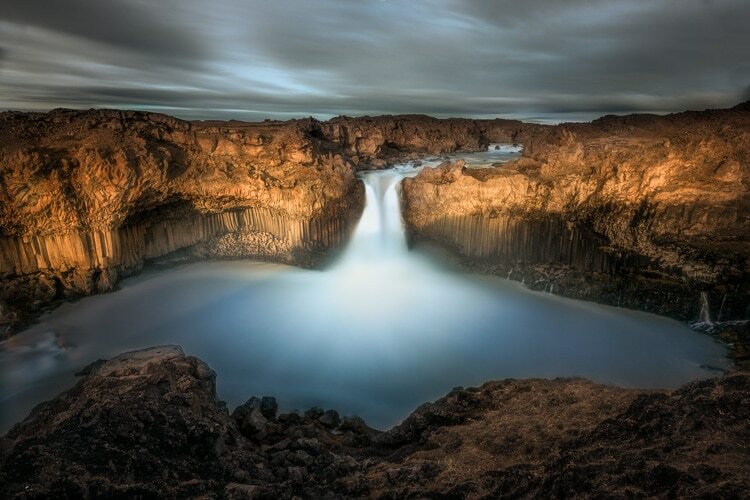 A neutral density filter costs. A good quality filter costs even more! So before you spend your hard earned money, spend some time doing research or borrow it from your friend to play around. 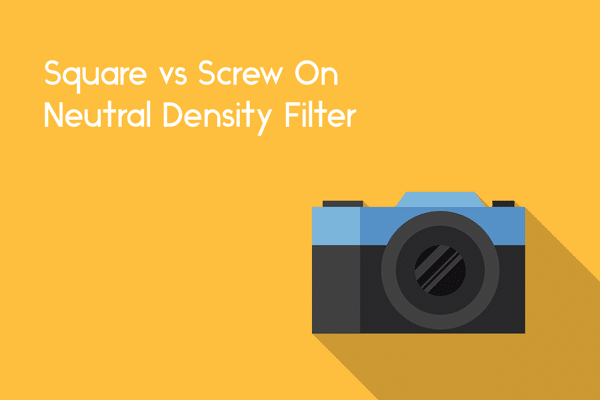 The more you know about square and screw on filters, the more you’ll make the right decision for yourself. In this post, I’m going to share with you the pros and cons of square filters vs screw on filters. Apart from my personal experience, many of these were discussed on photography forums by amateur to professional photographers. A big shout out to David Colangelo for some of the ideas! I wrote this article assuming you already know what is a neutral density filter. If this is the first time you stumble across it, you can learn more here. Also, this article IS NOT about product review of a particular brand of filter. At the end of this article, I’m going to share with you some handy tips on getting the most of out your ND filters. 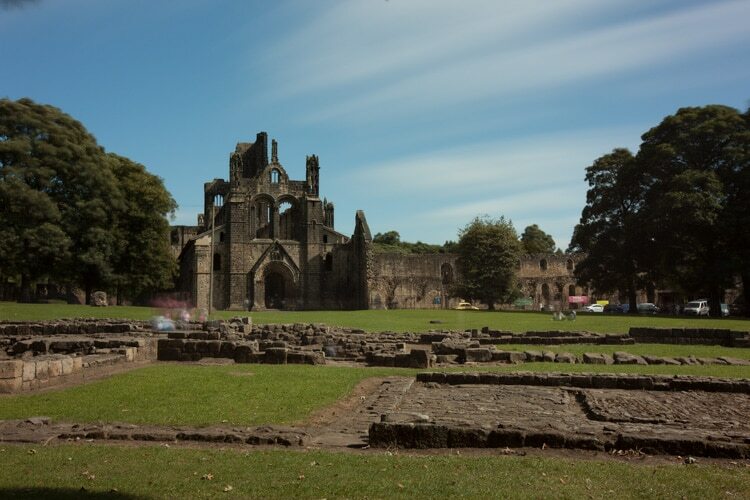 I have previously written an article about the role of ND filters in the era of digital photography, particularly in the context of HDR photography. If you're interested, you can read the full post here. If you only have time to read one paragraph, here is my take home message. more flexible to use and quicker to swap. more expensive but can fit multiple lenses with adapter rings. easier to stack, less likely to vignette and ideal for graduated ND filters. smaller, more durable and easier to carry or store. less costly but can only fit the specified thread size. able to seal and protect the front of the lens, therefore no problem with light leak. Square filter is a collective term given to filters that are not circular (i.e. screw on). It can be square or rectangular and the sizes can vary. Most photographers I know use the 100mm system. 100mm is the width of the filter holder, meaning it can hold any filter with the same width. The advantage of buying the 100mm holder is that it can fit any 100mm filters. There are larger filters but the size varies depending on the manufacturer. For example, the Cokin X-Pro is 130mmx170mm, the Lee SW150 is 150mmx170mm...you get the point, right? Here are some of the brands for square filters on the market: Cokin, Lee, Singh-Ray, Formatt-Hitech, Tiffen, SRB, Kood. Square filters slide in and out of the holder. This helps big time when you want to swap filters quickly before the light fades away. Square filter is more ideal for graduated neutral density filters. You can easily fine-tune the transitional line without needing to move your camera and upset the composition. Because of the sliding mechanism of the square filter system, it’s also easier and quicker to stack filters to achieve the stop down that you want. Square filters are almost always bigger than the lens. This means you won’t get the edges of the filter in your view, thereby significantly reducing the chance of vignetting. If the filter fits snuggly to your lens without oversizing, that means you should really consider getting a larger filter. There are more manufacturers producing square ND and GND filters than screw on ones. If you decide to go with square, you have more options to buy from. The square filter holder is pretty flexible in a way that it will fit any filter that is in the right size. If you happen to have a welding glass at home, you can cut it to fit your holder and do some creative experiment with it! Remember I told you most manufacturers produce the 100mm filter system? If you already have a 100mm filter holder, you can literally get any 100mm filters to fit irregardless of the brand. The square filter system consists of the holder, the filter and the adapter ring. These are usually sold separately in most cases. If you’re on a budget, you can buy a third-party filter holder or an adapter ring that is much cheaper. Read the product review first if available as there are some poor quality third-party filter holders out there. Unlike screw on filters, a square filter is about 2mm thick and doesn’t have a rim and thread. This makes it thinner and easier to store in a filter pouch. The combination of the holder, the adapter ring and the filter can be very bulky. Sometimes this can get in the way of composing your image especially if you’re shooting through a small, confined space. For example: through a bar fence. In most cases, each piece of the square ND filter kit is sold separately. This inevitably introduces hassle, for example, when a particular piece of kit is out of stock to be purchased. However, most manufacturer do offer a package deal so you can get everything in a single order. Square filters are generally more expensive than screw on when comparing item to item. The total cost can be even more when you add in the filter holder and the adapter ring, which are both necessary to use the filter. Compared to screw on filters, the square filter consists of three parts. The filter, the filter holder and the adapter ring. This means more things to look after and you can’t use the filter system if you lose even one part of the kit. Square filters do not seal the front of the lens tight like a screw on filter. Dust and water can get in between. If you’re not careful, you might even scratch the lens! Your lens hood becomes redundant with the square filter system because it outsizes the diameter of the lens. If you absolutely need the hood, try using an umbrella or holding a small object (newspaper, magazine, etc.) to block out the sunlight instead. For some of the square filter holders, particularly the cheap ones you find on Ebay, does not hold the filter secured enough. It means the filter can potentially slide off while you’re shooting. This not only ruins your picture but also damages the ND filter! That’s without a say if you use a high grade ND filter (to prevent motion blur). It goes the same for a graduated neutral density filter because you want to keep the gradation where you want. Sometimes with the largest filter, you can still get a bit of vignetting at the corners. From my personal experience, this comes from the filter holder rather than the filter itself. A quick solution is to remove unwanted slots from the filter holder to make it thinner. Screw on filters are more familiar to most people because they are everywhere. When you bought your first camera, you were probably contemplating of getting a UV or skylight filter for your lens. That’s a screw on filter! Apart from the shape, screw on (or circular) neutral density filters work exactly the same as their square counterpart. How do you what size to buy for your lens? If you look at the front of your camera lens, you should see the manufacturer's name, focal length, the widest aperture, etc. Somewhere along (different in each lens) there is a measurement in millimeters (mm), some may be preceded by a ⌀ sign. That’s the diameter of the thread for the lens and you must buy a screw on filter that matches it. Otherwise, it won’t fit! Not all manufacturers that produce both square and screw on ND filters. To give you a head start, here are some popular brands that sell screw on ND filters: Cokin, Hoya, B+W, Kood, Tiffen, Dolica. It’s much smaller and lighter compared to square neutral density filters. You can keep it in your pocket and continue to do your thing without remembering it is still there. Because of the thread, it’s extremely secure on your camera lens. In fact, there is no way it can fall out. But if it does, it’s either the rim is broken or you didn’t screw it in properly. A screw on ND filter seals the front of your lens. There is no chance of light leak unless the filter is broken. No messing around with black tape or spending hours in Photoshop trying to erase light leak (been there, done that!). 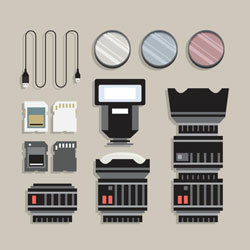 In general, screw in ND filters are less costly because there is less part to buy. Having said that, some of the more “branded” ones can be equally expensive as the square filters. You probably won’t use an ND filter the same way you use an UV or skylight filter. However, because it screws on tightly to your lens, it does protect the front of the lens. 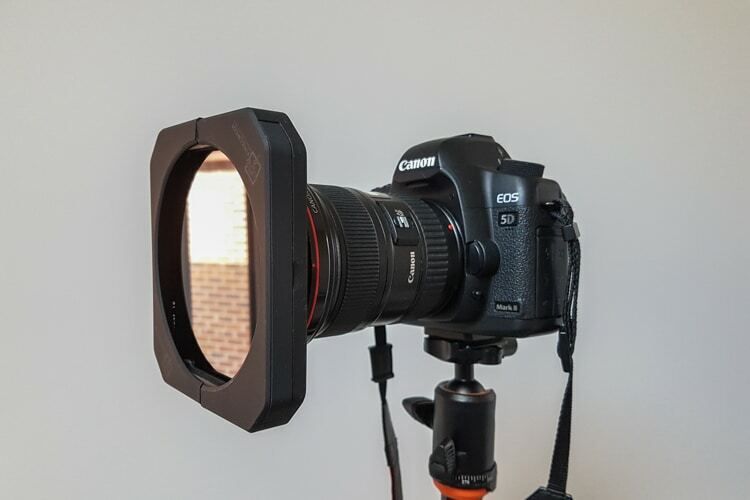 If screw on is for you, then you'll have the opportunity to try on variable ND filter. Rotating the ring changes the ND grade between two to six (in general). Strictly speaking, it's not an ND filter per se but two polarizing filter stacked to create the ND effect. Some photographers argue that screw on ND filters (or screw on filters in general) are more durable than square ones. This is probably because a screw on filter has a thicker rim that protects the filter. Square filters, on the other hand, gets damaged easily if you’re careless. My square neutral density filter has two chips on the side. I don’t even know when that happened but it did break my heart. This is more of an issue for ultra wide angle lenses. 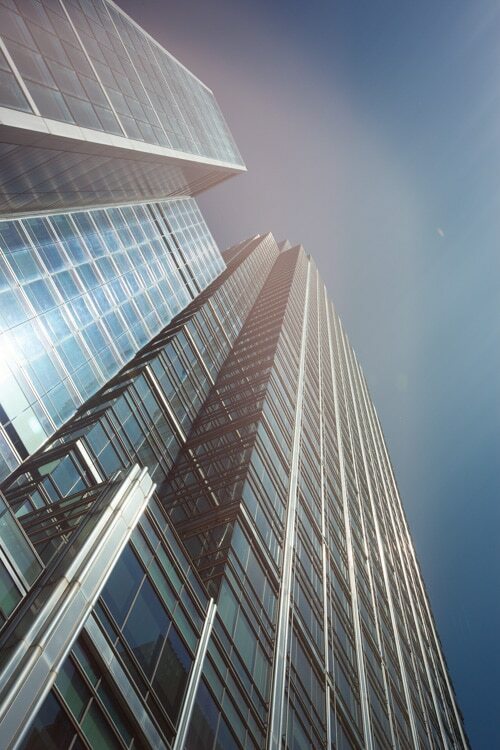 Because screw on filters do not oversize, an ultra wide focal length may cause vignetting from the rim of the filter. Stacking screw on filter is a risky game because there is a high chance of vignetting. This happens even in standard focal length lenses. You can’t use your screw on ND filter on other lenses with different thread size. But there’s a way to go round it. Use a step down ring. Bear in mind that this only works if the thread of your ND filter is larger than the thread of the lens. Sliding out and in versus unscrewing and screwing back on again. It’s pretty obvious, right? If you use a screw on polarizing filter often enough, you’ll know the difficulty of getting it off the lens when it’s been mounted for a while and in cold weather. This gets tougher in slimmer filter as there isn’t enough grip. Ultimately, this adds to the time to swap filter and you might just miss the opportunity for the perfect shot. A screw on graduated ND filter doesn’t give you the flexibility to shift the gradation without ruining the composition. You can move the gradation by rotating the filter. Anything more than that, you'll have to change your composition. Certain lenses have a protruding lens and ity simply can’t fit a screw on filter. For example, the Nikon 14-24mm f/2.8 and the Canon TS-E 17mm. For these lenses, you need a special adapter ring such as the Lucroit Pro holder by Formatt-Hitech. These are common misconceptions most photographers have when venturing into the world of ND filters. Having a clear understanding of what may seem like a trivia, you'll be able to apply the filter more confidently and creatively. Because it’s a specialized piece of equipment, many beginner photographers think only the professionals should use it. I would say if you’re an aspiring photographer (particularly landscape photographer), you’ll definitely need to explore ND filters more than anyone else. It’s a general misconception probably because you see it used in landscape photographs most of the time. The fact is, you can use it anywhere you want! The possibilities are only limited by your imagination. The work by Joel Tjintjelaar is a fine example. The way he incorporates ND filter into his black and white photography workflow is truly inspiring! You didn’t expect this, do you? Darker (i.e. longer exposure) and cheaper filter has the tendency to introduce color cast into your image. Having said that, even a good quality filter has some subtle color cast. Also, watch out when you stack filters together. There was once I stacked two graduated ND filters and my image was ruined by an ugly magenta color cast. Obviously, it depends on where you get the filter from. Just watch out and be aware of this issue. 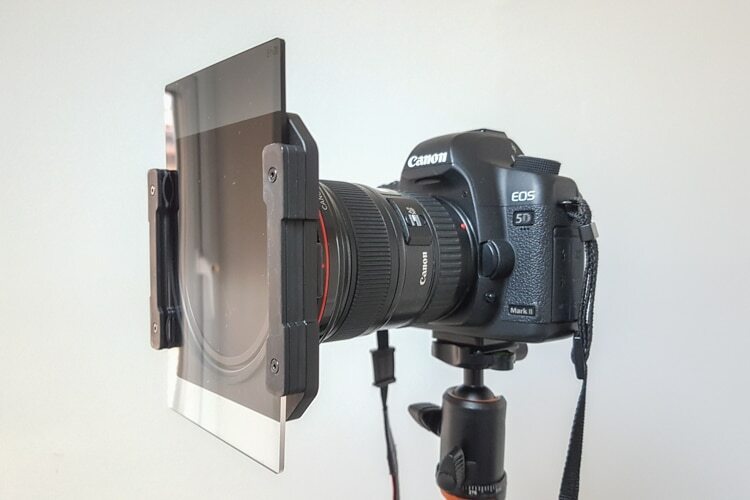 This happens if you use a high grade neutral density square filter such as ND10 or ND16. These filters require a filter holder which attaches to the front of the lens. If the exposure time is anything more than a couple of minutes, the light entering through the gap between the filter and the holder will show up on your image as “haze”. It may even ruin your image if the light leak is too severe. Cover the camera and the filter with a piece of dark cloth. If you want to be absolutely sure, tape up the gap with a black tape (such as an electrical PVC insulation tape). This is probably dead obvious, but people often forget that ND filters should be used with a tripod. The higher grade the filter, the slower the shutter speed. There’s just no way you can handhold your camera for the entire exposure time without motion blur. Even if you can get away with it, you’ll still need a tripod so that your composition is fixed for your graduated ND filter. Before you start shopping for ND filters, I want to share some practical tips (or wisdoms!) I've learned over the years with you. Some of these have come by the hard way, costing me time, money and precious opportunities for "the shot"! I hope you'll benefit from my mistakes and use this to power through the initial learning curve of mastering these filters. Get a filter pouch for protection and quicker access. Don’t use the box or the flimsy cloth cover that comes with the filter. I have a pouch with 10 slots and I keep all my filters in it. There is even a space for the filter holder! For the square filter holder, don’t always feel you need to get a branded one. If you don't mind third-party products, visit Amazon or Ebay and you’ll realize there are plenty of cheaper options. What I do suggest is doing some research or read the reviews before getting your credit card out. My first square filter holder was a third-party one and it lasted me a good three years. 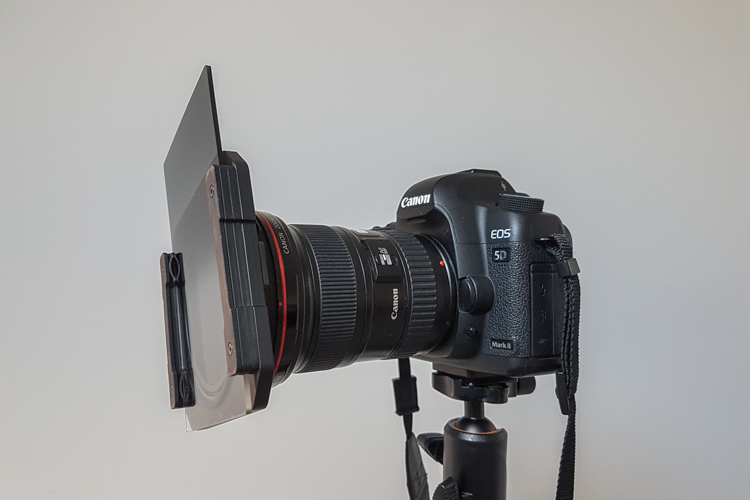 When using a high grade ND filter (the filter is so dark that you can’t see through it), here’s what you need to do. First, compose your image and focus with AF without the filter on. Then, switch your lens to manual focus without moving the focusing ring. Finally, attach the filter and take the shot. Remember to calculate the required shutter speed first (duh!). You might need to switch your camera to bulb mode and trigger with a remote release if the calculated exposure time is more than 30 seconds. When shooting sunset or sunrise with a neutral density filter, bear in mind that the light intensity reduces or increases faster than you thought. This will affect your image exposure if it's not taken into account. For example, consider adding 40-50% to the total exposure time when shooting sunset, particularly if the sun is just about to set at the horizon. Similarly, reduce the calculated exposure time for sunrise. One thing you need to realize is the calculated exposure time will never be accurate in these situations. Telephoto lens is not ideal for ND filters. This is particularly true for high grade ND filters where the exposure time takes several minutes. These lenses are prone to micro vibration even in mild windy condition because of their build. Subtle motion blur may not be apparent on the camera's LCD screen but you'll definitely notice it on the computer screen. Use the calculated exposure time as a guide only. Light is dynamic no matter what time of the day. The calculated exposure time assumes the light is consistent throughout the exposure time, which is often not the case. There’s no rule to say exactly how many seconds or minutes you should be compensating. Every situation is unique, it’s only a matter of trial and error to get confident on using your ND filter. Lastly, DO NOT use ND filters to look directly at the sun! I know this sounds random, but I know people who have wanted to do so before I stopped them. ND filters block the visible spectrum of light but not the invisible ones such as ultraviolet or infrared radiation. Looking directly at the sun with just an ND filter will inevitably damage your eyes. Over To You: Square or Circular? That's all it is to ND filters! By now, you must have figured out each has its own advantages and disadvantages. What works for someone doesn't mean it will work the same for you. You can't be 100% certain about the type of filter that will suit you. But what you can do is to gather as much information as possible and make a strong assumption (or hypothesis!) to increase the possibility for that. The chances are, if you have done your homework right, you'll get the filter you like and create amazing images with the effect you've hoped for! So, what's gonna be - square or circular? Thank you for your article, the same that I found extremely helpful. I would like to know your view on variable ND filters. 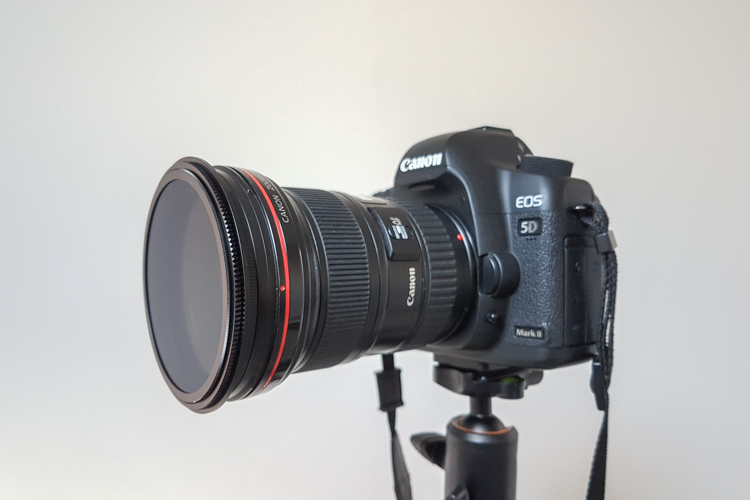 I have not used variable ND filters personally. I did think of getting one before, but after doing some research I decided not to because I found many negative reviews on variable ND in general. Hope this helps! A superb article will clear and understandable explanations. I thank you.